In January, a Briz-M rocket body that had been in orbit for just a month released ten debris and three significant events between 2006 and 2012 created thousands of small pieces of debris intersecting the orbits of the International Space Station and satellites in Geostationary Orbit. The Joint Space Operations Center confirmed the break-up of object 2012-026B on January 26. According to JSpOC calculations, the event occurred back on December 22, 2015 at 16:00 UTC +/1 minute. At that time, the spent rocket stage was at an altitude of 10,750 Kilometers, passing over the coast of Brazil, headed out over the Atlantic to climb back up to over 34,500 Kilometers in altitude in its elliptical orbit. At least nine debris related to the Briz-M were found and orbital data for eight were published this week. 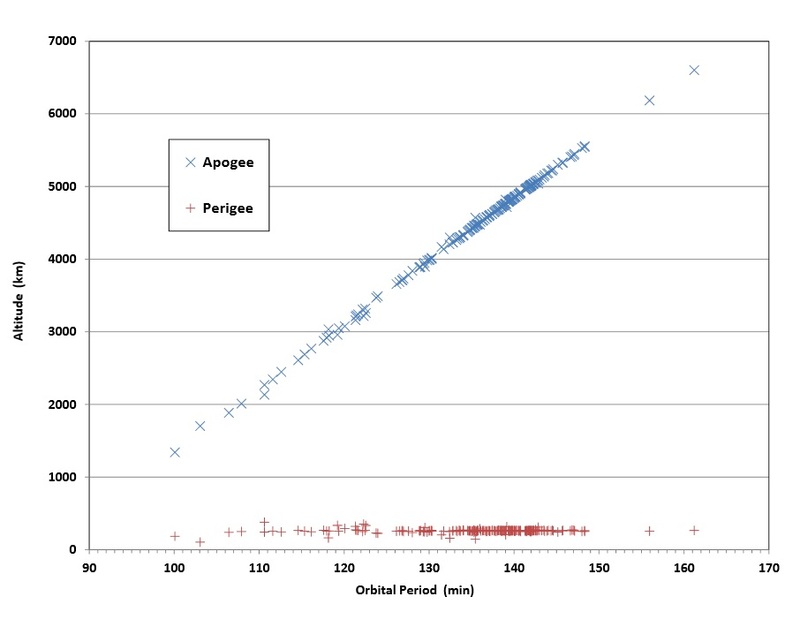 Data shows a relatively large spread in orbital altitude for the debris objects with perigee altitudes varying between 10,301 and 10,502 Kilometers and orbital apogee altitudes between 34,085 and 34,711 Kilometers. 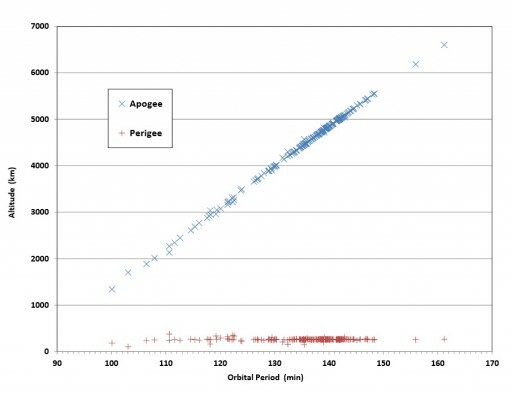 This rather significant spread in altitude and orbital inclination which varies from 12.04 to 12.17 degrees indicates that the debris were liberated with considerable energy – either in an explosion of a component of the stage or a high-speed collision with other orbital debris or a natural meteoroid. The orbit of the Briz-M itself was not altered as a result of the event producing the debris. 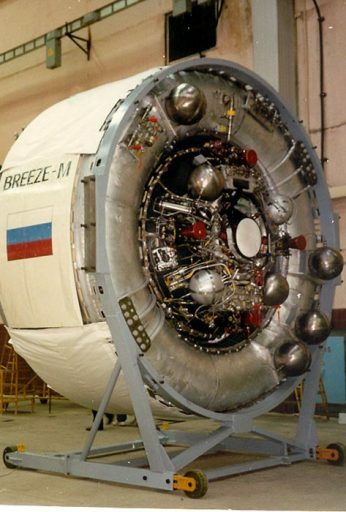 This Briz-M upper stage was involved in the launch of the Nimiq 6 commercial communications satellite atop an International Launch Services Proton-M rocket on May 17, 2012. 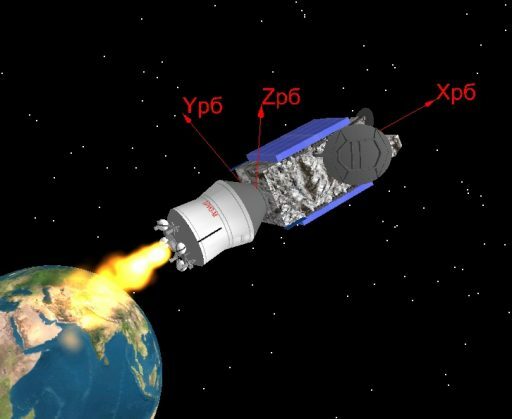 To boost the 4,745-Kilogram Nimiq 6 satellite to Geostationary Transfer Orbit, the Briz-M upper stage performed five engine burns over the course of a mission lasting nine hours and 14 minutes. 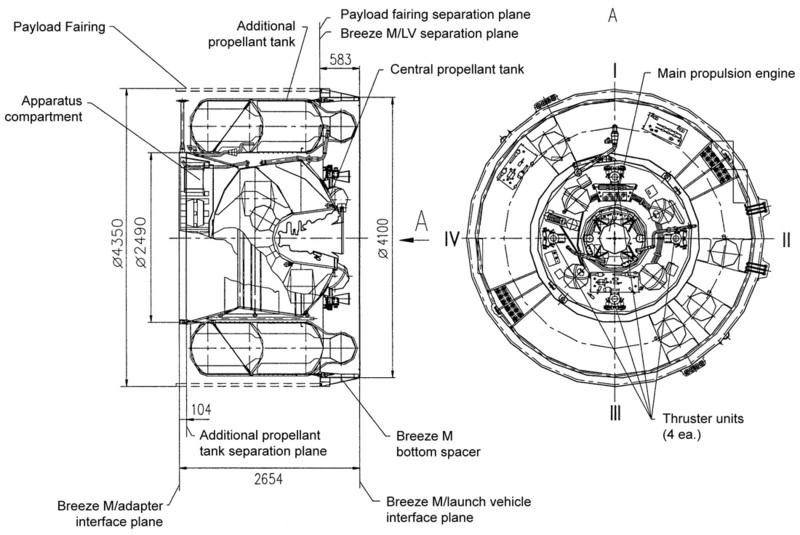 After dispatching the satellite, the Briz-M stage conducted a pair of disposal maneuvers to enter a graveyard orbit followed by passivation, a process in which the propellant and pressure tanks of the rocket stage are vented to avoid a future explosion of the stage. Briz-M weighs 2,370 Kilograms with empty tanks and measures 2.61 meters in length and 4.0 meters in diameter. In a period of four weeks in December 2015 and January 2016, two Briz-M upper stages suffered debris events due to as of yet unidentified causes. While the break-up of 2012-026B went unnoticed for quite some time owed to it being in an elliptical orbit with high perigee, the debris from 2015-075B were detected within just a few days due to their proximity to Geostationary Orbit where most of the world’s communications satellites reside. Both events produced less than ten pieces of debris each, at least after the initial screening. It is typical for debris counts to rise as tracking focuses on the orbit of the debris cloud and ground-based radars can only pick up pieces larger in size than a tennis ball, meaning smaller debris that are usually created in even larger numbers go completely unnoticed unless high-precision optical tracking devices are employed. Briz-M upper stages are known suspects when it comes to in-orbit debris events including explosions with three major events in the last decade and still a number of wild cards in orbit that may be facing future explosions after failing to complete passivation after encountering onboard failures. A Briz-M rocket stage that was stranded in a low orbit of 265 by 5,000 Kilometers exploded on October 16, 2012 after being in orbit for just over two months following a propulsion-related failure. This explosion created a large debris cloud with over 700 sizeable objects tracked with radars and optical sensors. In the days and weeks after the explosion, the debris cloud intersected the orbital plane of the International Space Station, but the relative precession of the orbits quickly reduced risk to ISS as relative velocity between the Station and the debris decreased. Given the low perigee of the debris, most objects decayed within one year. The two most recent debris events involving Briz-M upper stages remain mysterious given the relatively small number of debris detected in first screenings and the fact that both completed nominal flights and should not have encountered problems at passivation. 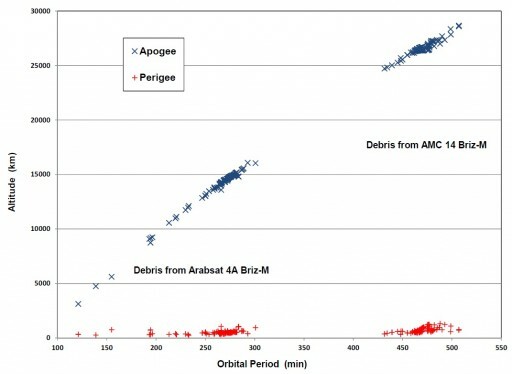 The December and January events saw no change in the orbit of the rocket stage itself indicating that no significant impulse coincided with the debris creation. It remains to be seen whether more debris objects are found and if their orbital parameters provide the clues needed to narrow down potential causes for the debris-creating events.